AUSTIN, TX--(Marketwired - Oct 16, 2013) - SolarWinds (NYSE: SWI), a leading provider of powerful and affordable IT management software, today announced that Microsoft has named SolarWinds Head Geek Lawrence Garvin a 2013 Microsoft Most Valuable Professional (MVP) for his exceptional technical community leadership and for actively sharing his high-quality, real-world expertise with others. Each year, Microsoft selects around 4,000 MVPs from over 100 million social and technical Microsoft community members, rigorously evaluating them on technical expertise, community leadership and voluntary community contributions. Microsoft MVPs come from more than 90 countries, speak over 40 different languages, and are awarded in more than 90 Microsoft technologies. Together, they answer more than 10 million questions each year. 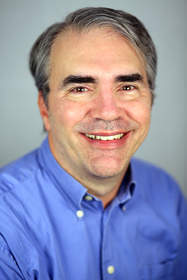 Garvin earned his first Microsoft MVP Award in 2005 and has received one each consecutive year for his continued contributions to and enthusiasm for the Microsoft community. Garvin is one of only 28 professionals worldwide named as a Microsoft MVP in the Software Packaging, Deployment & Servicing category, which now comprises all of the products, tools, and processes related in any way to distributing software. Garvin is active in the Microsoft TechNet WSUS forum, moderating and contributing thousands of posts annually. He also recently joined an advisory committee with other MVPs to provide insight to the Microsoft Forums development teams. "Lawrence has over 25 years' experience in IT and he constantly stays up to date on technical trends and challenges -- he really knows his stuff. What's more is Lawrence is incredibly generous in sharing that knowledge as a Microsoft MVP and a Head Geek," said Patrick Hubbard, fellow Head Geek at SolarWinds. "We're proud to count Lawrence as a SolarWinds Head Geek because he genuinely connects with IT pros and helps them solve their problems." SolarWinds Head Geeks support the IT professional community by discussing IT trends and challenges and sharing their knowledge on SolarWinds' thwack community forums and Geek Speak blog and in monthly SolarWinds Lab sessions, in which they provide advanced technical training for IT pros. The Head Geeks also participate regularly on various IT forums including myITForum.com, Windows-Noob.com, StackOverflow, and Spiceworks, which recently honored Garvin with a special "Spice" award for his frequent and helpful contributions to the community. Lawrence Garvin is a Microsoft MVP and a Microsoft Certified IT Professional (MCITP), and has been working with Microsoft Windows Server Update Services (WSUS) and Software Update Services (SUS) since the release of SUS SP1 in 2003, and update management, generally, since the availability of Windows Update in 1997. He contributes regularly to Mission Critical. A self-described "geek," Lawrence doesn't go anywhere without an e-reader, keeping up with countless tech and IT blogs, and he loves interacting with IT pros on social media to help them solve their IT challenges. Garvin's preferred sci-fi character is Stargate's Jack O'Neill and he favors Superman, with Batman a close second. Patrick Hubbard boasts over 20 years' technical expertise and network management experience in areas including campus, datacenter, HA/DR networks, storage networks, VoIP/telepresence and VDI Fortune 500 and startups. He contributes regularly to TechTarget's SearchNetworking and SearchSDN. Patrick's favorite sci-fi character is unequivocally Spock, and he loves his Raspberry Pi computer. Patrick believes that technology is an art form and that as Head Geek, he has the opportunity to make art practical, improving the "IT grind" and making IT pros' lives easier. Don Thomas Jacob has worked in a variety of tech roles including tech support engineer, product blogger, product evangelist, and tech marketing lead. His experience and interests lie in network performance monitoring, security analytics, packet inspection solutions, flow-based technologies like NetFlow, sFlow and IPFIX, and technologies such as QoS, NBAR, IPSLA, and Cisco Medianet and MediaTrace. Don follows tech blogs like Wired.com, TechCrunch, and ARS Technica, and struggles to decide whether Neo, Yoda, or Darth Vader rules the sci-fi universe. Praveen Manohar has worked as a support engineer, product trainer and technical consultant, and specializes in technologies including NetFlow, Flexible NetFlow, Cisco NBAR, Cisco IPSLA, WMI and SNMP. Praveen gives strategic guidance for end users on applications, networks and performance monitoring tools. He loves Batman, particularly The Dark Knight movie, is itching to try out Google Glass, and loves that he constantly gets to think "outside the box" as a SolarWinds Head Geek. Lawrence Garvin is a SolarWinds Head Geek, a Microsoft Certified IT Professional (MCITP), and a nine-time consecutive recipient of the Microsoft MVP award in recognition for his contributions to the Microsoft TechNet WSUS forum. Follow Garvin on Twitter @HeadGeeks.